The year we had three B-25 Mitchells on hand. Panchito, Barbie III and Killer Bee. 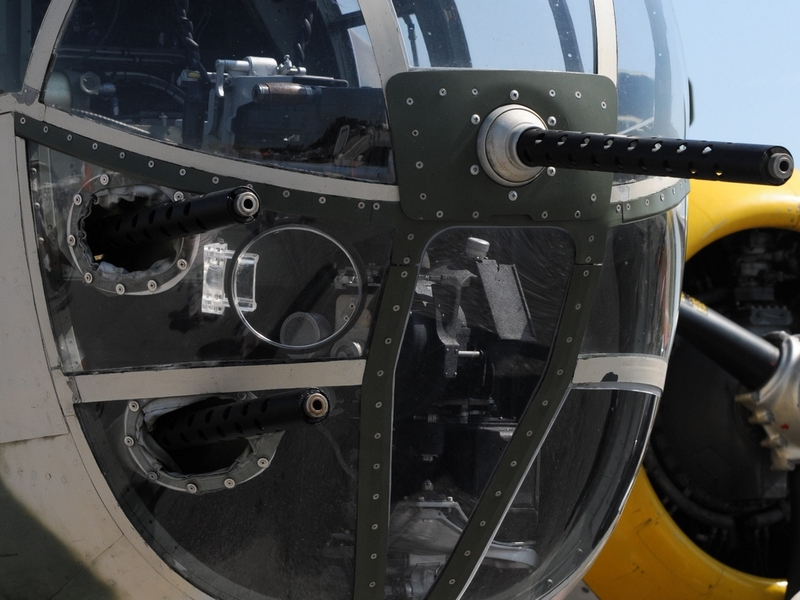 All three were on static display and were hosting three of the remaining five Doolittle Raiders. 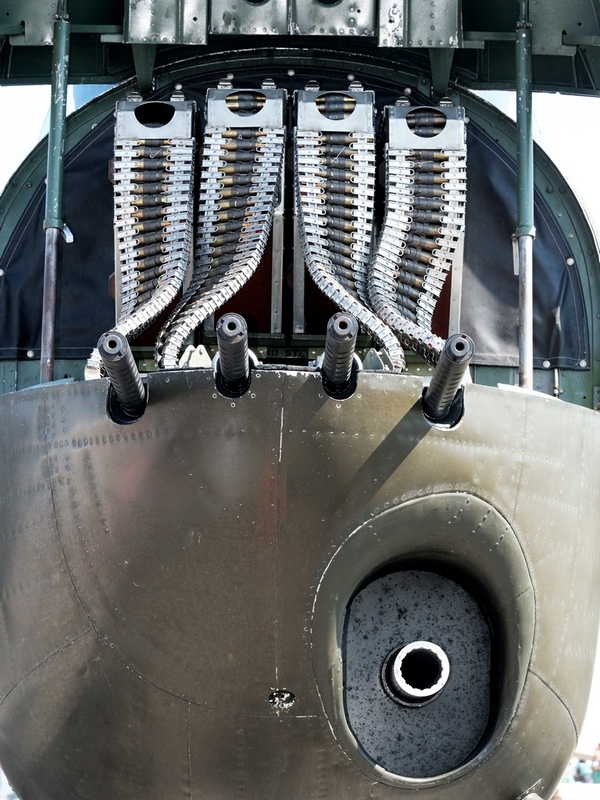 Panchito was it’s normal gorgeous self in shining aluminum, Killer Bee was decked out in Camo looking for a trip to North Africa and Barbie III was showing off her 75mm cannon and some 50 calibre inverted cleavage on static display. Unfortunately, the show was pretty busy with the Doolittle Raiders so shots of the static aircraft were difficult. 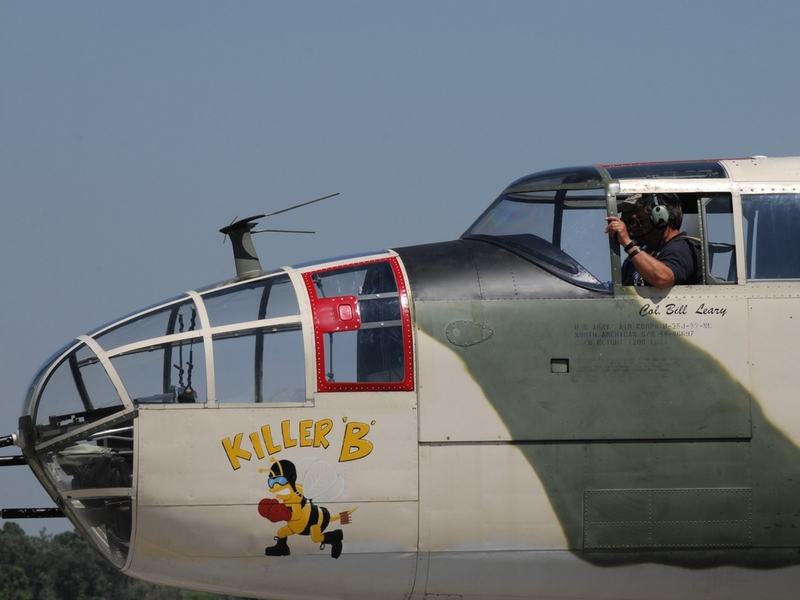 Panchito and Killer Bee were moved to the south ramp prior to the ground attack demonstration. They can be seen together in the image at the top of this entry. I thought I wouldn’t see Barbie III in flight but, Monday morning, I heard the engines and got a distant shot of her being escorted out of town by a T6 also decked out for ground attack. I managed to catch one shot of the front of Killer Bee showing a more conventional gun layout and the cockpit after landing. My favorite shot of Killer Bee though was on climbout. 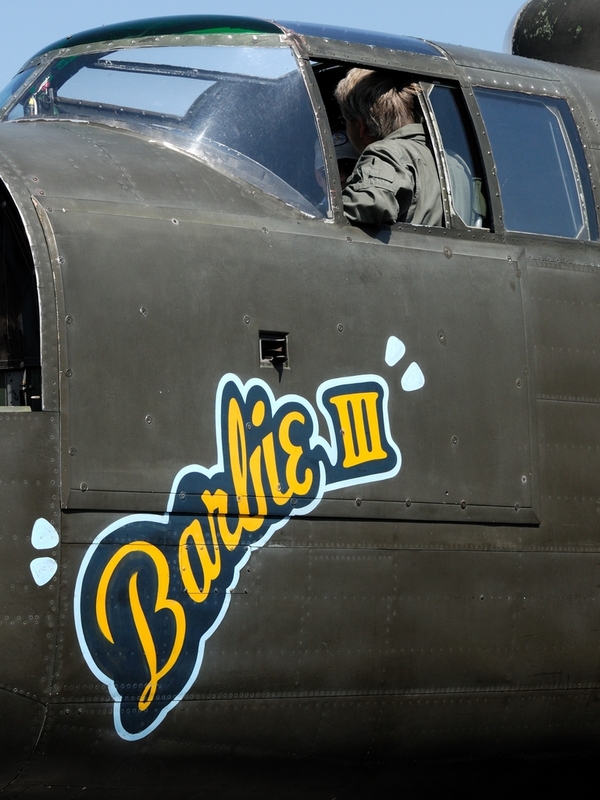 Unfortunately, the nose art was only on the port side. 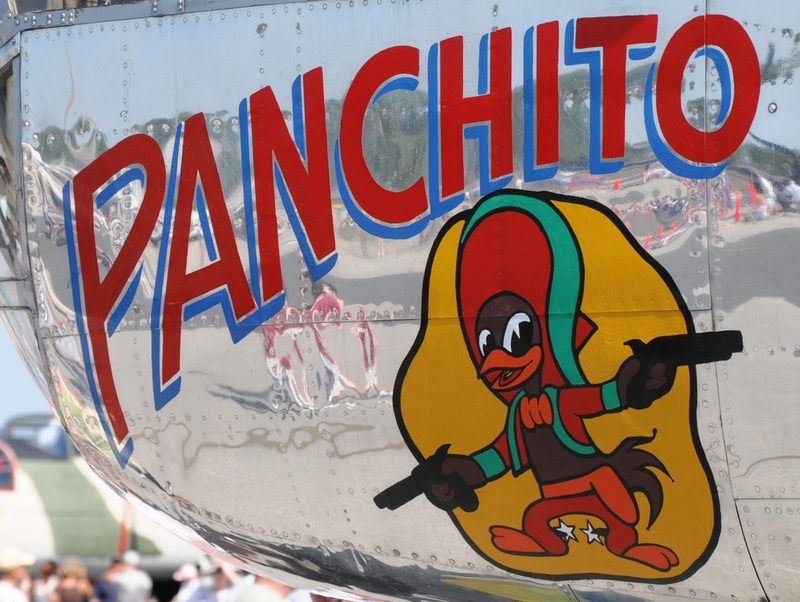 Panchito was, as usual, lookin’ good on the simulated attack runs and on the ground. 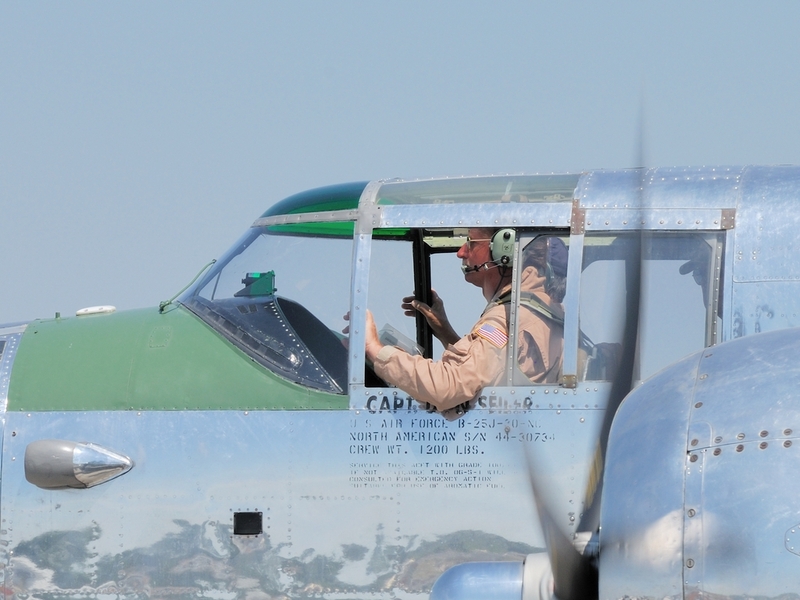 This entry was posted in Airshow, Event and tagged Photography. Bookmark the permalink.